This house in Devens, pictured on the day of a celebratory block party, will be featured in the coming This Old House TV season. 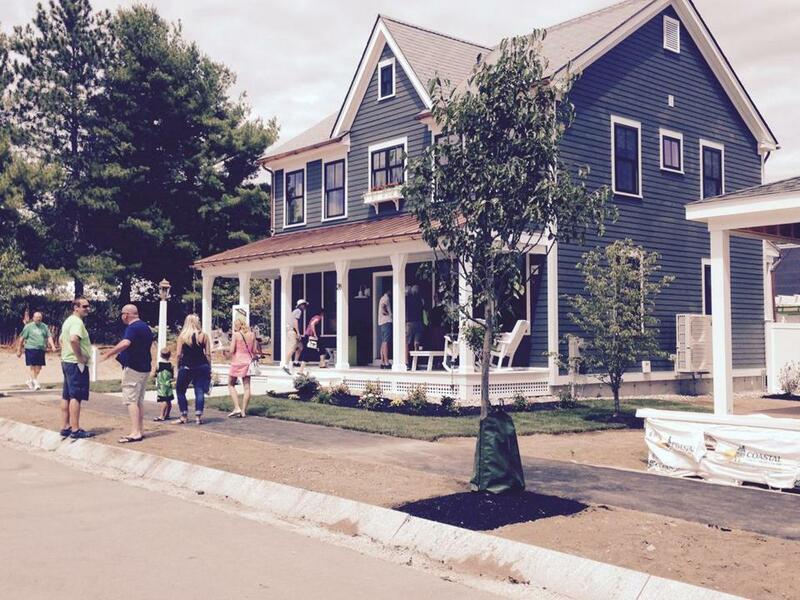 The This Old House magazine and television show chose Devens as the location for this year’s show house. Built by Union Studio of Providence, the newly constructed farmhouse will be home to the latest environmentally friendly and energy-saving technology and materials. The home will use about 50 percent less energy than a typical newly constructed edifice. It will be profiled in the October issue of the magazine and on the television show in January. The house, which features a large front porch to encourage community interactions, will be open to visitors through Sept. 23. On the tour, visitors can learn about the building’s sustainable yet affordable features. Afterward, its owners, Paula and Brian Haschig, will be moving in. To make an appointment for a tour, call 978-844-8810. 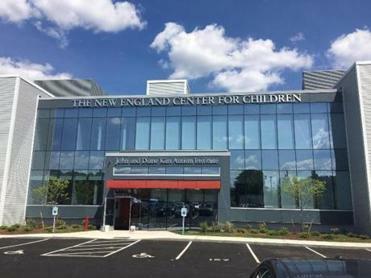 The New England Center for Children will unveil the John and Diane Kim Autism Institute in Southborough Oct. 17 at 3 p.m. The institute will be a center for research focused on treatments for autism and related disabilities. It will also be home to expanded development of NECC’s existing teaching software, the Autism Curriculum Encyclopedia, which is already in use in 24 states and in 9 foreign countries. The new 33,000-square-foot building is connected to NECC’s Michael S. Dukakis Aquatic Center. It was made possible by a capital campaign that raised $10.9 million, beginning with a $2.5 million donation from John and Diane Kim. The remainder of the funds will also be used to build a student activities center. Scholarship winners gathered with and Simon Youth Foundation officials and Simon company executives from the New England region. Three students from the area west of Boston were awarded scholarships from the Simon Youth Foundation. Nathan Chiu of Wellesley , Marisa Ng of Newton , and Rachel Pray of Rutland were awarded the scholarships, respectively, by Copley Place in Boston, The Shops at Chestnut Hill, and Solomon Pond Mall in Marlborough. This fall, Chiu will attend the University of Pennsylvania, Ng Northeastern University, and Pray Rensselaer Polytechnic Institute. The foundation awarded a total of $80,000 in scholarships to 26 students throughout New England. Belmont Savings Bank and the Belmont Center Business Association each donated $500 to the Belmont Police’s Smart Choice Program. This initiative is about rewarding good behavior. Officers can give positive citations to kids seen exhibiting safe behavior, such as using crosswalks or wearing a helmet while riding a bike. The program started on July 27 and 300 tickets will be given out. Each of these citations is worth $4 towards a treat at three local shops, Rancatore’s, Quebrada Bakery, and Chocolate Dream. The Smart Choice program has been geared toward summer, but funding may possibly be provided to extend the initiative.